This is one of my favorite books of all time. It mentions every woman I’ve ever inspired to be like. I’ve been in love with Jacqueline Kennedy Onassis, Coco Chanel, Diana Vreeland, Millicent Rogers, Slim Keith, Babe Paley, Gloria Guinness, C.Z Guest, Elsie De Wolf, Rita Lydig, Mona Bismarck, and the Duchess of Windsor since I can remember. All amazing women who transformed and created the fine art of living well. They all understood that style was not just about wearing expensive pieces, but on wearing what was best for you, it was all about the cut, the texture and elegance. Another thing they all had in common, they knew how to wear Red Lipstick. 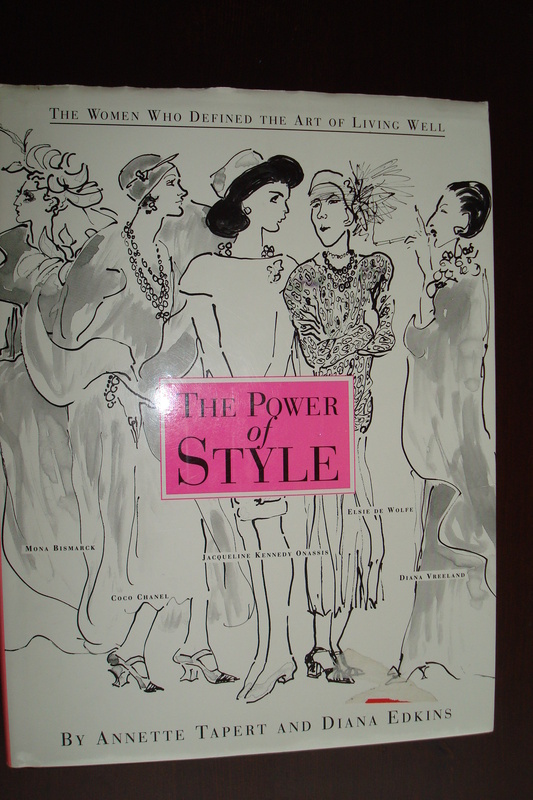 The Power of Style gets a TEN!